The NBA is a ruthless enviornment. As soon as someone grabs the title of NBA’s best player, speculation immediately begins about just who will take that title next. And rightly so. The average window that a player holds on to this title is only five to six years or the time that that player is in the prime of his career. For now, Lebron James is the undisputed best player in the NBA. No one in the league can match his scoring efficiency, court vision, defense and overall ability. Though there are some that argue that Kevin Durant is the league’s best player and MVP, these people are, for the most part, simply sick of James’ excellence. Ask anyone in the know and they will tell you that the stats simply don’t back up the Durant argument. But give it time. In a few more years, if Durant can continue to improve his impact on the game in areas other than scoring (as he is currently doing) he will surpass James. But just how long will Durant have the title? Given the way one young star is playing, it might not be as long as you think. But just who is this player? Anthony Davis? John Wall? While both have the potential to reach that level, the smart money should be on Kyrie Irving, the point guard for the Cleveland Cavaliers. Even though Monta Ellis isn’t a high quality defender, Irving does this on a nightly basis, regardless of who is attempting to guard him. While Irving’s handles and creativity are dazzling, his stats are equally as compelling. The point guard is averaging 23 points, 5.7 assists and 3.7 rebounds per game. He’s shooting 41.4 percent from beyond the arc, a rate that makes him the 16th best shooter in the league from that range. At 22.22, his PER puts him ahead of players like Stephen Curry, Deron Williams and Chris Bosh. Still, there are holes in Irving’s game. The most glaring one is on the defensive end where he is still learning the ropes, but this is typical for young players in the NBA that are relied on to score heavily by their teams. With time and work, this area should improve for the young guard, just as it has been improving for Durant. What’s scary about Irving’s numbers is that he is only in his second year. If Irving can continue to improve his game each year (and if he can stay healthy), he will soon find himself in the conversation which tries to determine the game’s best players. And when Durant inevitably takes the title of world’s best from James, Irving will be right there, ready to challenge him for the throne. ♦ Is Football’s Future in Jeopardy? Good article and true to the point that nearly all athletes possess only a brief time period to perform at their marquee level. 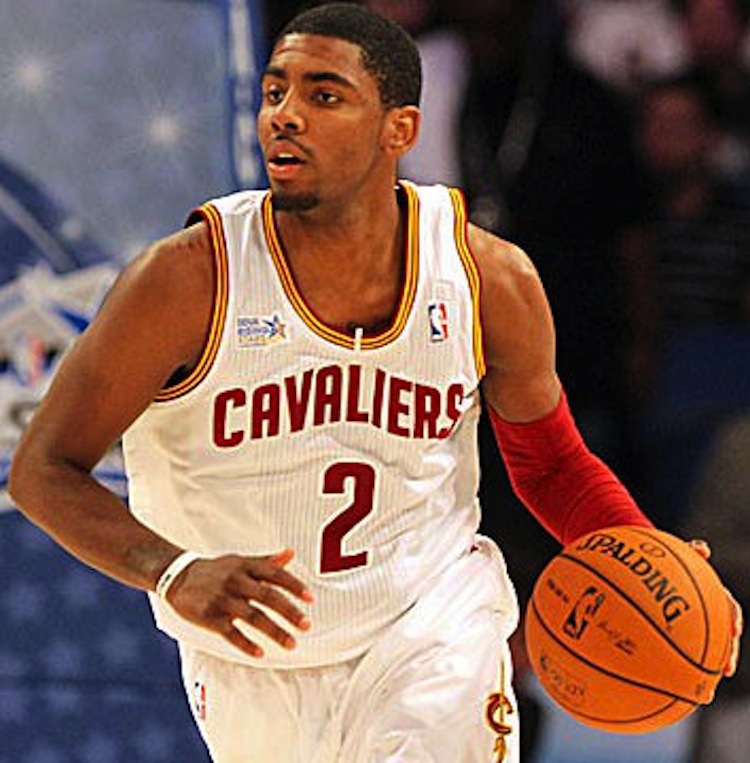 I believe Irving, a lot like D.Rose, can astonish viewers with his freakish ability and seemingly limitless potential. Irving’s playing style and position don’t call for much physical contact or bruising play other players may endure over a full career. That being said the constant stress put on the body to perform such agile and explosive moves to best the opponent has made these hybrid players seem mortal and it creates debate. Ever wonder “Would the Miami Heat get through the East with a healthy D.Rose and company to contend with?” or “How would LeBron recover from any severe injury?” All exceptional players have to make choices that sacrifice a part of what will make them “immortal. LeBron came to Miami with the intent to win championships and solidify his status as all time great player. Durant among others have so far made their cases through the numbers via scoring, double-doubles and clutch performances. I do feel the NBA’s annual crop is decreasing in production every incoming summer and less players pan out to star in this league. It’s easy to claim that a 6’10” scoring machine, in Durant, who is only 24 will go down as one of the greatest to every play but there is much time in between to conclude any truths. Irving may be able to help put a forgotten city back in the map but injuries may hinder his abilities just as D.Rose has faced most recently. Standing at the chalk line of NBA stardom can be an uphill battle to learn if you need take time and develop while on the trail or hit the ground running with what is already known in order to reach the peak of the hill. Of all the players I see the latter standpoint in, I like the odds of Damian Lillard taking the NBA by storm through the next decade. This is a scoring point gaurd, like many of the current era, who possess rookie stats only accomplished by players best known as “The Big O” and “Zeke”, I ofcourse mean two of the top fifty all time greatest players of NBA; Oscar Robertson and Isiah Thomas. Lillard comes from four years of college basketball experience and does have a nice supporting cast on the Portland Trailblazers, as did the two aforementioned greats. But his quick release, jumping ability and cool demeanor as a rookie already show enough promise to include him in this discussion of a player who is anything but a house hold name with extraordinary talent. With media available today everyone can be a “Human Highlight Film” but this rookie puts on the same show every second of the game clock. His stats in scoring and assists alone make him a near undisputed ROY choice of the 12′-13′ season. Portland has been plagued with bad karma every since passing up on Durant for former first overall pick Greg Oden, but the spiritial force that has kept Portland from regaining it’s status as a playoff locked team by April may finally be over. With a year of chemistry and experience on the court already, Damian Lillard will show the league he is the cornerstone of the next generation of the NBA. again any one can be a highlight on you tube, not valid it’s during practice…NEXT! Sadly no one may ever see this but I think it helps a little bit with my point.